I left off in my last entry talking about some of the important concerns related to the different portions of businesses that the Hosmers own and run. 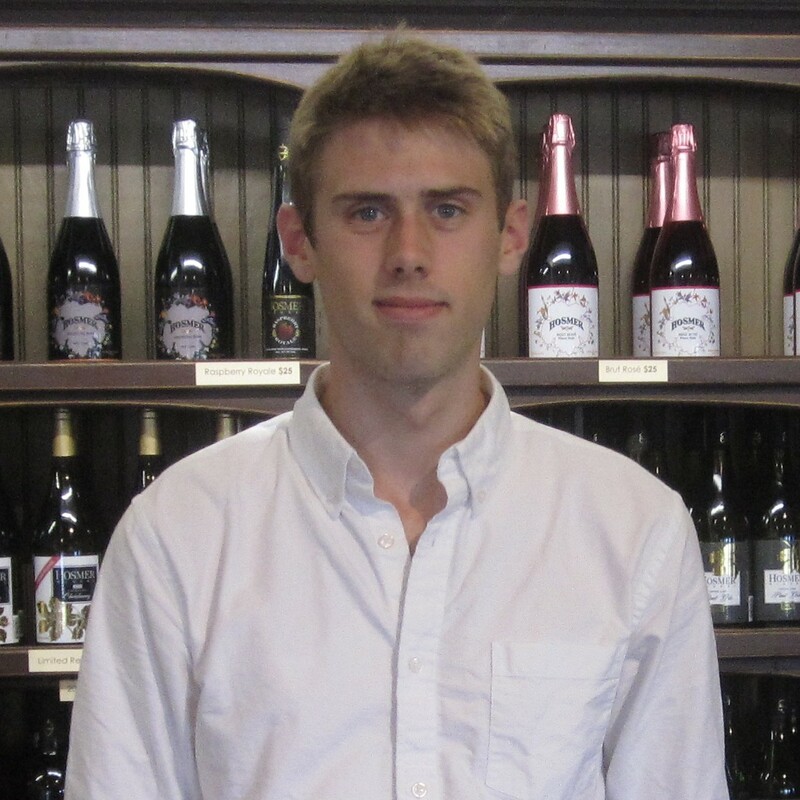 I wanted to learn more about the challenges of running a vineyard, winery, and tasting room not only because I might want to run one someday, but because it would make understanding the lives of fellow employees easier and hopefully prepare me for future employment in one a similar position. My last day at Hosmer was the 27th anniversary party. By the end of the day, enough wine had been poured to cover one of the serving counters with empty wine bottles. ren and Tunker today as it does to me. However, it seems pretty amazing that Tunker was no more than a few years older than myself at the time he started to plant his vines, and he must have understood that the longevity of his venture from the very beginning. It may be a long time until I can feel the same pride for my life’s work that the Hosmers do today, but I think many people can understand a small part of a winegrower’s pride. The feeling of a day well spent, of being relied on and coming through, and of the eventual harvest are things that most people can appreciate. Now, I try to imagine the satisfaction that comes from tending vines that have seen four decades and hope to understand that someday. 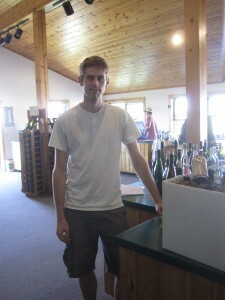 The second part of Hosmer’s that I discussed was the winery. Because of the scale of production at Hosmer, Aaron Roisen is the only needed full time winemaker. While pondering Aaron’s job, I realized that there is skill in the vintner’s trade, a great deal of scientific understanding, and all the romance you can imagine. Aaron Roisen even told me last year that (and I am paraphrasing here) “Sometimes one of the best parts of being a wine maker is the reaction you get from other people when you tell them what you do”. While there may commonly exist a high esteem for this trade, what Aaron meant was that, like every other trade, there are many, less desirable parts to the job. After a long day of working in the rain, or a morning and afternoon of bottling (which, if not monotonous, is often stressful), or working weekends to stay in pace with harvest, the recognition for your trade by strangers may seem to be the only consoling thing. I do not, believe for a second that the “romantic aura” that surrounds a vintner is the main reason for many joining the field and sticking with it. Of much more value to a vintners is not the opinion of strangers that would treat the job with uninformed awe, but the praise of respected peers. Above even that (according to Maslow’s hierarchy of needs) might be the self-actualization or fulfillment associated with challenging one’s self and the opportunity to be creative. Even the act of trying to make the same style of wine from year to year is a difficult task as harvest brings different fruit each year. Aaron told me that creative freedom is a very important part of his wine-making career earlier this summer, and I believe it. 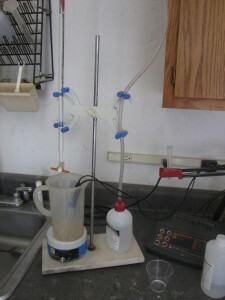 In my classes and experiments over the last few years, learning and making new creations have been endlessly engaging. Unfortunately, wines are not to customers what they are to the people who want to buy it. I learned that it is the job of the marketing and distribution to essentially create the image and sell the wine. This overarching responsibility (to create value to the product and assure the sale of it) holds as much creativity and variation in everyday work. All employees needed to create an environment were customers want to buy wine, while individuals like Katie worked on the website and redesign the logo. Others like Maren, Ginny, and David keep up with all the required records, and they all have the responsibility to manage themselves in an effective way. Coming into the tasting room, I was less prepared by my school work than the other areas of the company. However, unlike working in the vineyard and the winery, I got the opportunity to have the same job and responsibilities that any tasting room worker had. As a result, I feel like I learned a great deal while working with my friends in the tasting room and everywhere else at Hosmers. Thanks guys for giving me an awesome summer. My final weeks at Hosmer Winery went by swiftly. In these last couple of weeks I worked in the tasting room with my fellow employees. As the days seemed to pass by more quickly, I began to consider the organization from two stand points: the business and the people that made it possible. This blog entry touches on the monetary considerations of Hosmer’s operation and the next entry focuses on the people that seek work within the whole. It is important to consider the businesses and the people who make a living in each to reflect on my coming career goals. 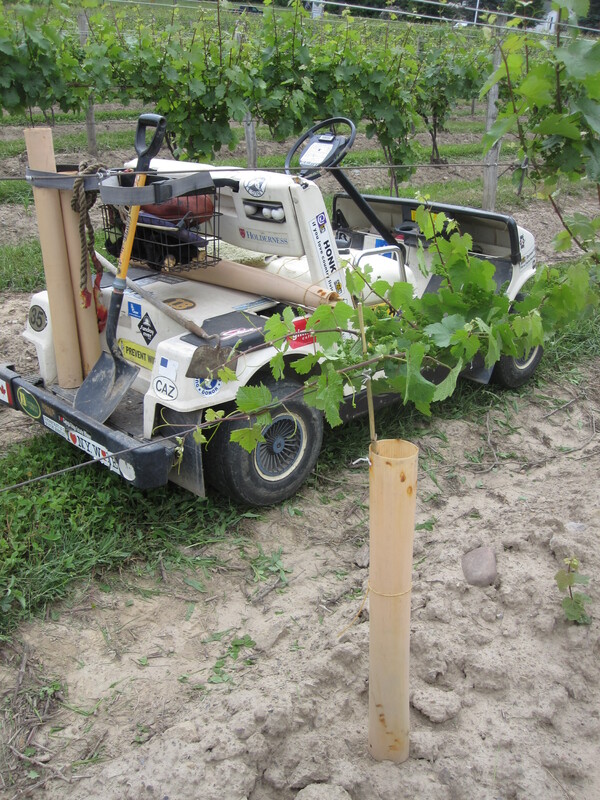 Established vineyards take a surprising amount of time and money to get where they are. I guess the most appropriate way of starting is in the vineyard. Known legally as Patrician Verona Inc, this was the oldest and, can be considered a foundation for the two other business entities found at Hosmer. The vineyard was created in the late 70s when Tunker had returned home from school. 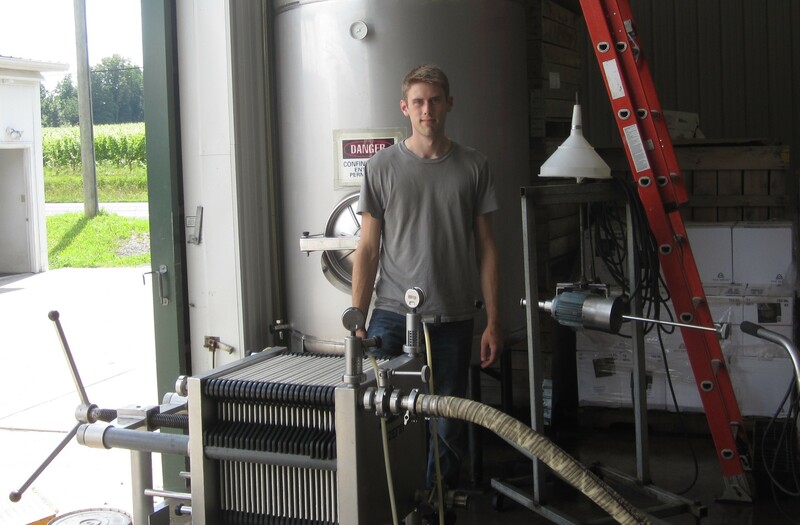 A recent graduate of the Cornell pomology program (unfortunately, the Viticulture program was not around back then), Cameron planted some of the first Cabernet Franc and Riesling vines, on Cayuga Lake. The age that vines grow often determine how healthy and productive they are, the older the better in some sense, leading to increased quality ingredients in the wine and a major marketing advantage over the years. Back then, as it remains today, this was no easy feat. 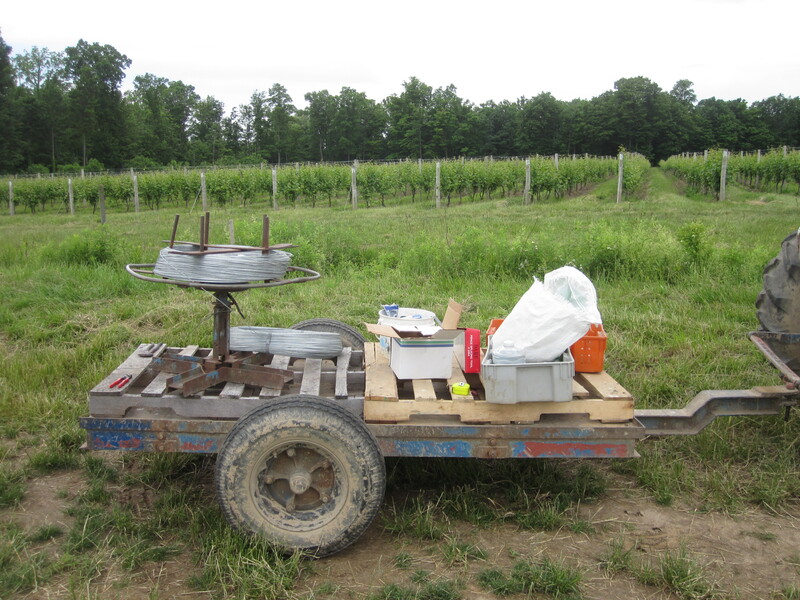 To start a vineyard, it took tens of thousands of dollars in preparation, construction materials, and a large amount of labor to start with just a few acres. 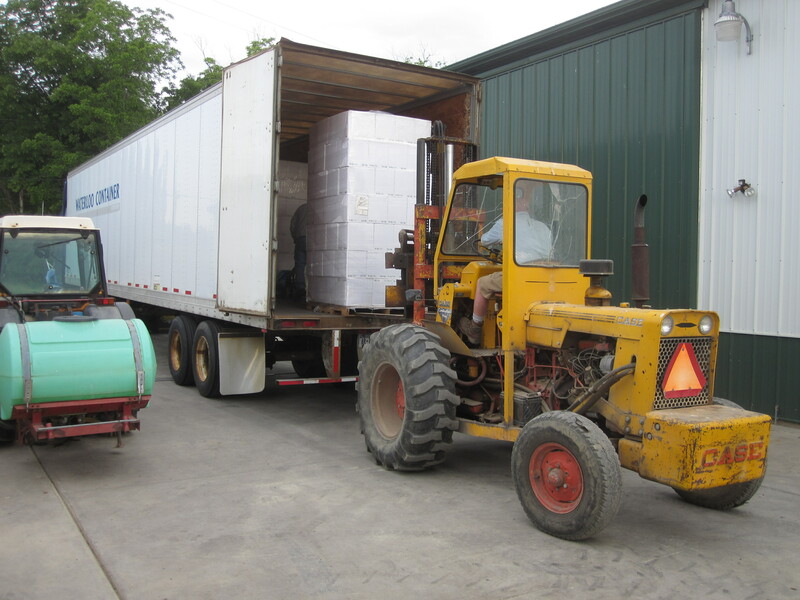 Some of the costs include leveling and prepare the soil, installing tile drainage, purchasing and planting the one-year old vines, and over the next couple of years, building a trellis system and caring for the vines. 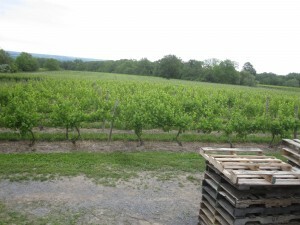 Gerald White, the Emeritus faculty member at Cornell has a fantastic article about the costs of establishing a vineyard (http://dev.senecacountycce.org/wp-content/uploads/2013/06/Cost-to-Establish-Produce-Vinifera-Grapes.pdf). The real kicker of it is that, despite investing much time and energy into the newly planted vines, the Hosmers could only expect to have a harvest three years after they had first planted the vines and only turning a profit a couple of years later. According to several estimates on the subject, it will typically take more than 7 years to get back your investment of a few acres of vineyard with interest. It may have taken many years and many loans to get the vineyard up and running, but Hosmer set himself up perfectly for the next business, a winery. 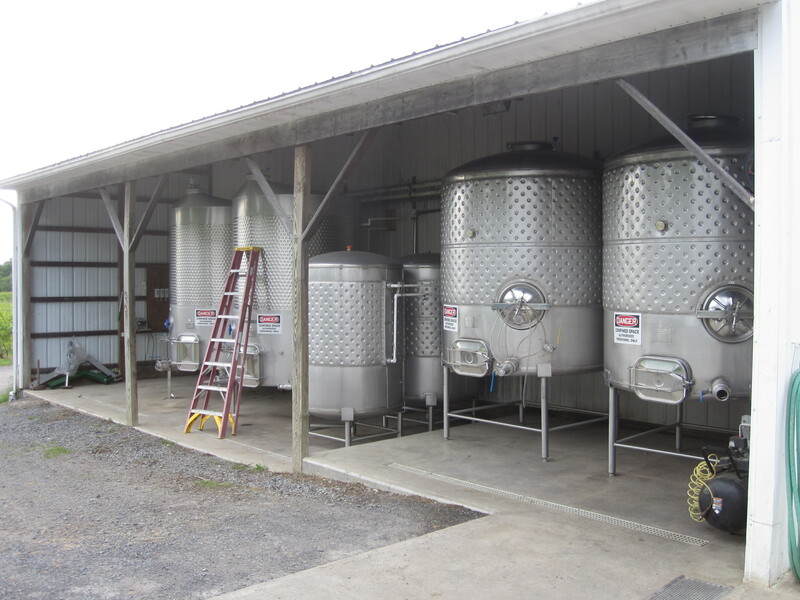 With a decade of establishing a name for great fruit quality and management, building a good line of credit, and having a reliable supply of high quality grapes every year, Hosmer couldn’t have been in a better place to start a winery. 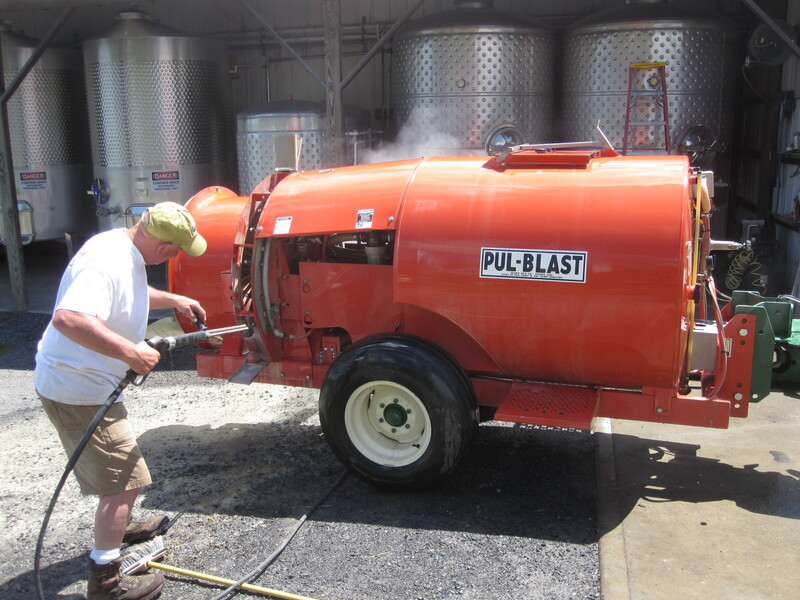 Regardless, opening a winery is not without significant investment in equipment and time. 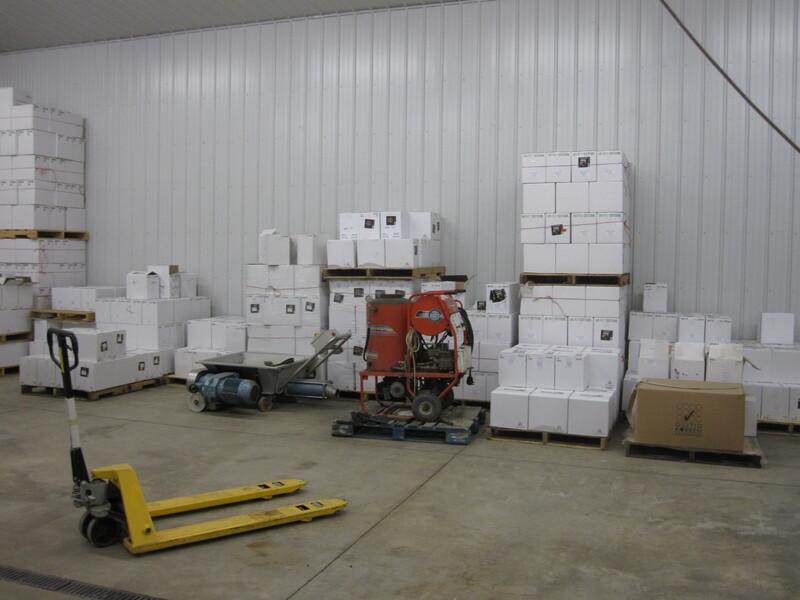 While equipment and ingredients and storage area are just the beginning of the monetary investment before beginning, nearly a year is typically required to create and age many marketable wines. While much initial investment in equipment is required, the issue of cash flow is essential even once a winery is established. The seasonality of wineries means that there are often large purchases of items like grapes, bottles, and additives. Then, there is the issue of selling the wine to make the whole process even worth investment. Purchasing wine bottles is quite the cash flow issue to tackle. Each stack of 100 cases costs $5,000. 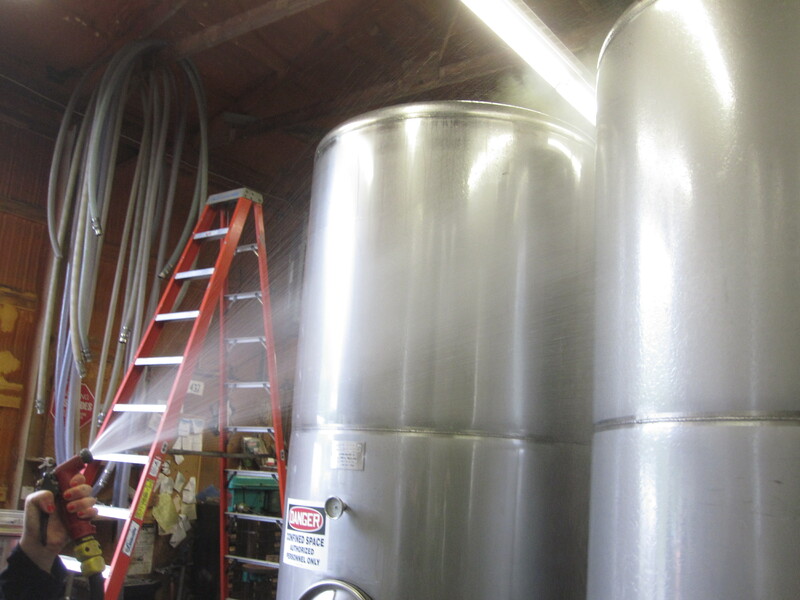 Space and inventory management are huge considerations for winery operations. Wine can sit and age for months or years, but if it does not get sold on time at a certain price, all the efforts that went into it are without reward. This is one of the risks distributors minimize for a winery. avenues and customer touch points. Having the three business entities (vineyard, winery, and tasting room/distribution) has, in essence decreased the risks of of each separate entity and created a synergy(and I only use this word as it is strictly defines and not to sound like the stereotype of a motivational speaker). It is interesting, however, that many of the benefits of this “more than the sum of its parts” model is created by customer perception. If people truly believed that terrior or any permutation of local favoritism translated to a better experience, then they would pay less for the wine. 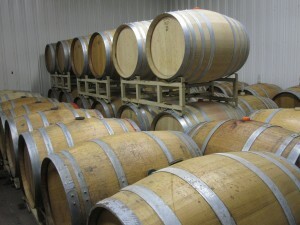 If the value of the wine and the grapes depended less on locality and reliability, then some of the monetary benefits of Hosmer’s business model would fade and it might be more desirable to have only one of the three business sections.Luckily, there is always more than monetary considerations when running a winery as a business. Luckily, happiness, comfort, and general human considerations are the real reasons why a business such as Hosmer exists as it is. Hello from Cayuga Lake! Over the past few weeks I’ve been busy with a whole assortment of tasks about Hosmer Winery and Vineyards. Going to work has been exciting every day as most of what I have been doing is dependent on the weather, and Hosmer has been keeping myself and Emily completing new tasks each day. A couple of weeks, ago, the weather has absolutely beautiful, clear and sunny. Out in the vineyards, many of the vines need replacing as they have died due to frost damage. A team of employees including myself, Emily, Carfora, and Hosmer, went through the process of using a “sabertooth” vine extractor invented in the Finger Lakes was used to pull out the old gnarled vine and a new one year vine planted. Running out wires to build trellises. There is also a new planting of about an acre of Grüner Veltliner, an Austrian grape variety that has recently increased in popularity. These one-year old vines will grow at least six feet tall this season, so we’ve been staking them and thinning the shoots to two trunks where necessary. I’ve learned fast the value of ergonomics to help prevent serious back soreness. I’ve also learned that 1) hats are a godsend and 2) audiobooks and the “20 questions game” are very helpful in keeping the mind focused on repetitive vineyard work. Without someway of keeping engaged, it is hard to keep up a good pace. Cleaning the precision sprayer. 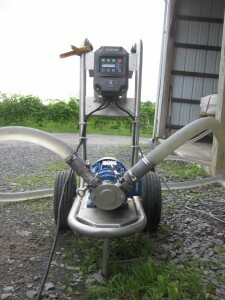 It allows for more efficient and responsible use of fungicides. The weather, as with any agricultural enterprise, is a very important part of everyday work. When it started to thunderstorm over the past few weeks Hosmer has been going out to spray in preparation for the inevitable fungal onslaught. That is not to say that he unnecessarily sprays chemicals, as that would be a waste of time, money, and has environmental implications. 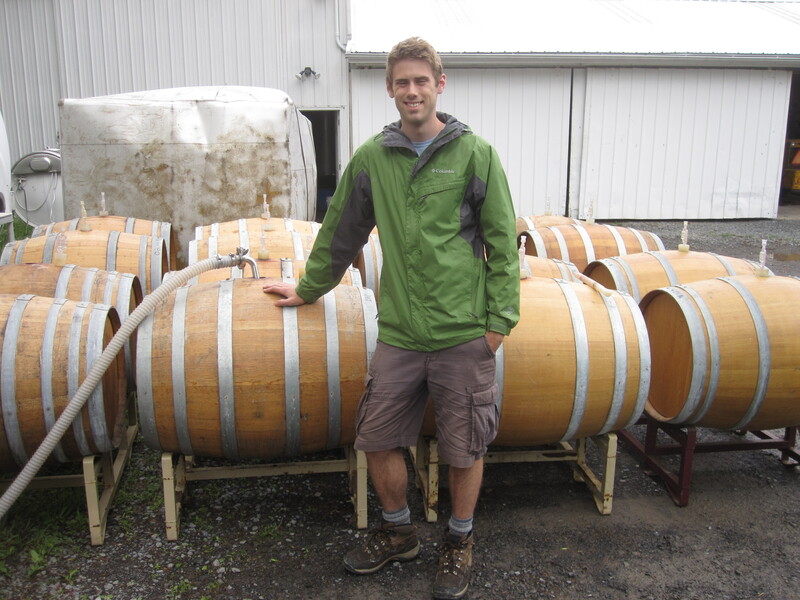 Hosmer prides himself for and holds up his company brand to sustainable viticultural practices. 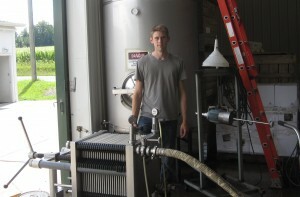 He also values cleanliness, and, along with Aaron Roisen, seems to agree with the saying that “wine-making is 90% cleaning”. I would agree almost entirely, except that moving the wine might make up a solid chunk of the time as well. On most of the rainy days and many other mornings, Aaron, Emily and I have been recently bottling much of the wine that was made in 2012. The winery bottles about 10,000 cases of wine a year, which is about 100 of the below seen “skids of glass”, much of which needs to be cleared out of the fermentation tanks in preparation of a fast arriving harvest. Unloading a skid of glass which contains 104 bottles or 12,480 bottles. Bottling Line- a $30-40,000 machine that is co-owned by Hosmer. 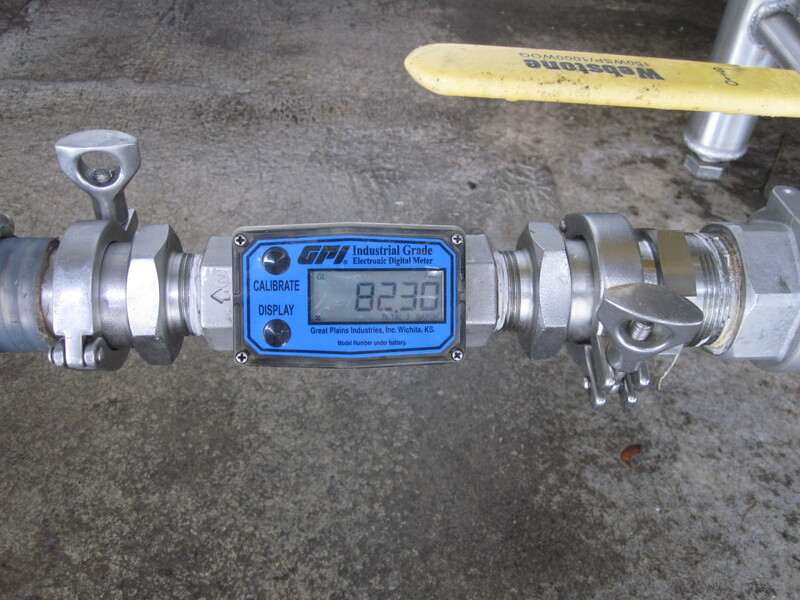 So far, I’ve learned how to run the bottling line and trouble-shoot many of the issues that inevitably come up. 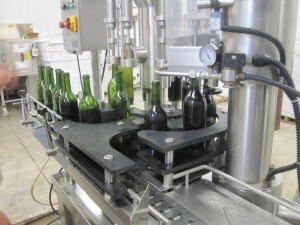 This machine is divided into two sections that first fills and corks the wine and the second caps, seals, and labels the bottles. Although very efficient, it is a finicky set of machines that takes three people to run and watch very carefully. At this point, it is second nature to be wary when around one, but lately, to all of our relief, the ghost in the machine has been relatively passive. Other than the tasks so far mentioned, there have been many others to keep me busy. 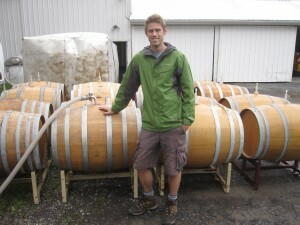 In the picture below, I am standing in front of fourteen, six year old french oak barrels and two new, $1,000 french oak barrels. They all contained 2012 chardonnay, and it was an incredible experience to taste the difference between the two aging processes. The new french oak was heavy, very well rounded, and intensely spicy while the older ones were much less pronounced. The difference between the two was like night and day, but all of these barrels were mixed on the day that this photo was taken and will be bottled by the time I post next. On that note, I think that I will conclude my post. Until next time, ciao! Golf cart- One of the more thrilling parts of vineyard work. Over the past week and a half, I’ve been working at Hosmer Vineyard and Winery on the west coast of Cayuga Lake. This grape farm was bought by Cameron Hosmer’s father and the vines were planted in late 1970s by Cameron and Maren “the real boss” Hosmer. While expanding acre by acre over the decades, this family maintains excellent vineyard practices. The concept “a wine is only as good as the grapes” is truly embraced at this winery by Cameron Hosmer and the whole crew there. At the end of last week, I showed up and was warmly welcomed. I’ve been introduced around vineyards helping to replace first year vines and maintain second year vines with Cameron, Matt, and Wilson, some of the vineyard workers. 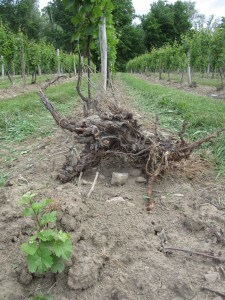 The tasks in the vineyard were easily learned, as the object of young vines was to add and remove grow tubes, suckers, and to train the vines onto strings. The work is not very challenging, but it has been excellent working outside, and the tasks vary on a day-by-day basis. Out in the vineyards, we (Emily VanFossen, a fellow Cornellian intern) get to zip around the vineyards in the golf carts (a bit of an adrenaline rush when we really get moving, I guiltily admit). Emily joined me near the beginning of last week and we’ve been able to get each other motivated as we have been adjusting to our early summer sleeping schedule. The majority of the work so far during the good weather has been in the vineyard, but this past Thursday, I got to experience the bottling of the Estate Red wine, an excellent blend of Cabernet, Chardonnay, and Seyval. 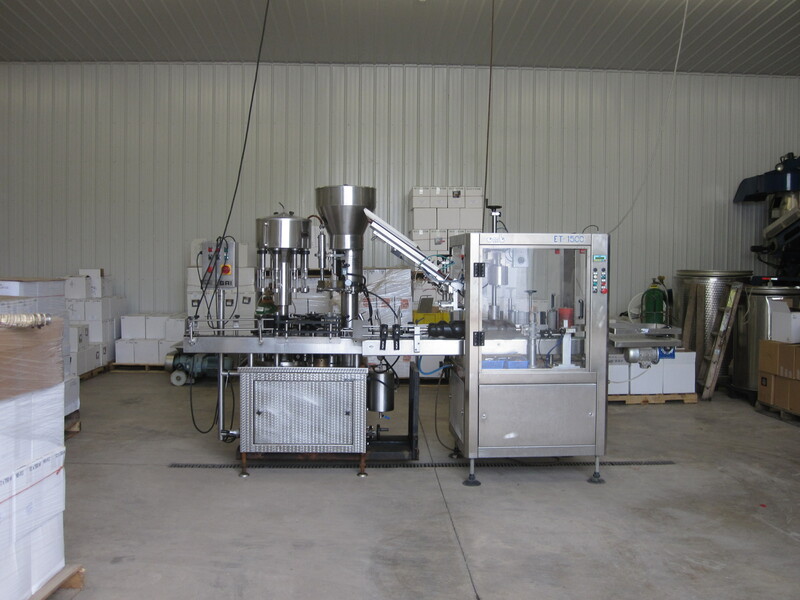 The bottling and labeling machine is an interesting piece of equipment, about $20-30,000 in value (not very expensive if you consider the millions that harvesters, laser precision planter, and tractors can cost). 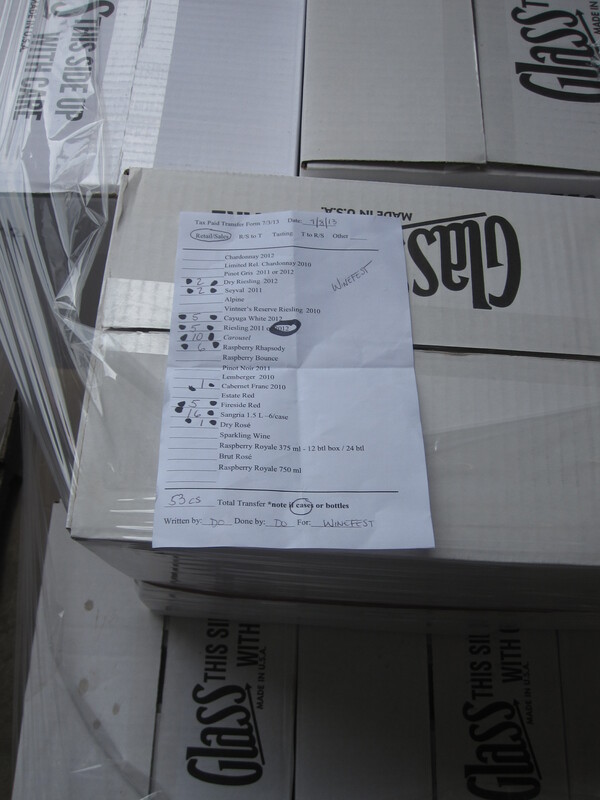 We spent Thursday morning and some of the afternoon bottling and boxing about 500 cases of the Estate Red. It was, once again, simple work, but it was a great opportunity. Aaron Roisen, affectionately nicknamed “wine guy,” is the resident vintner who is responsible for producing Hosmer’s recent, award-winning vintages. Being able to work and hang out with him has been great so far, not only discussing how to make the wine, but about the lifestyle associated with it. While not being certain where I would like to go after graduating, a career in wine-making might be a great opportunity to travel and obtain a job that might have a high degree of creative freedom (depending on where I would be working). As Emily and I work throughout the summer, we both are interested in getting an opportunity to work in the tasting room and pick the brains of Katy, Aaron’s fiance about her position as marketing director at Hosmer. Well, that’s it for now! It’s dinner time, and then bed before another couple of weeks at the winery… Until next time! Ciao!